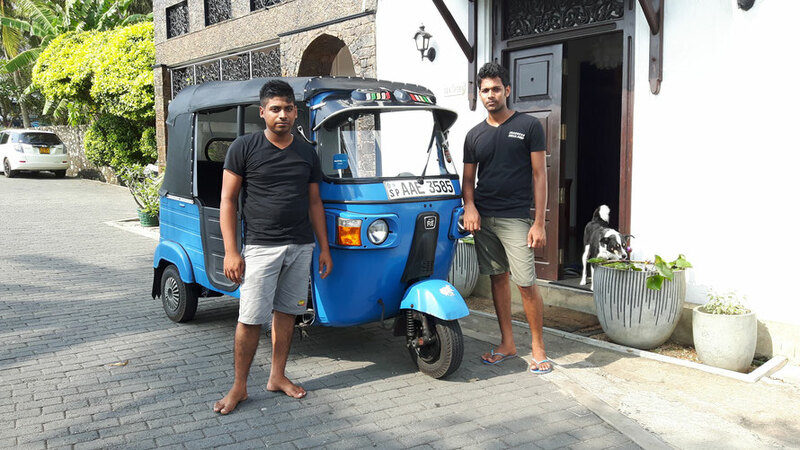 Chathuranga and Janaka are our Seagreen – Guesthouse Tuk-Tuk – drivers. Chathuranga and Janaka are available from 8.00am – 6.00pm. They will be also happy to take you on day tours, e.g. to Mirissa for whale watching, Koggala bird islands, Kottawa Rain Forest etc… Please feel free to get more information at any time.